Measure and reduce the carbon footprint of your company with an internationally recognised certification - CEMARS. the new Streamlined Energy Carbon Reporting (SECR) framework. The previous CRC Energy Efficiency Scheme will end in April 2019 as the government moves towards helping companies to improve energy productivity by 20% by 2030. We’ve partnered with Enviro-Mark Solutions to deliver Carbon & Energy Management And Reduction Scheme (CEMARS®). CEMARS is a leading globally recognised certification to ISO 14064-1 that provides organisations with the ability to measure and develop strategies to reduce their carbon footprint. CEMARS is applicable across your entire operations, no matter the size of your company or the sector that you work in. CEMARS is a credible, rigorous independent certification and verification programme. A comprehensive range of tools, step-by-step guidance and advice is all part of the service that will enable your company to measure your carbon footprint and set your carbon reduction strategy to reduce emissions. Once you have the necessary data, one of our qualified auditors will carry out an on-site audit. By spending a few hours a week, it is possible to achieve certification within 3 to 6 months depending on the size of your company after which time, the CEMARS logo may then be used to recognise your company’s achievements. On an ongoing annual basis, as part of the certification programme, you will need to demonstrate continual improvements to your carbon emissions. Review and improve internal efficiencies, drive innovation and reduce energy related costs with CEMARS. Throughout the process, you will have access to our software, tools and templates, which will help identify what data you will need to gather, calculate your emissions inventory and prepare reports for verification and public disclosure. 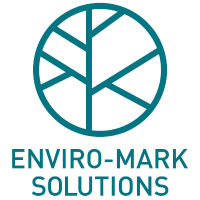 We operate under licence to Enviro-Mark Solutions Limited, an ISO 14065 accredited certification body, which retains the authority and responsibility for the CEMARS certification decisions. Measuring your carbon footprint helps you to understand and strategically manage those emissions. We provide the tools to help measure all emissions under ISO 14064 including vehicles, business travel, fuel and electricity, paper, and waste. Managing the emissions of your company, products and services will become increasingly important to both the planet and your profits. We offer resources and templates to guide you through certification. Audit your carbon emission inventory and management plans to add credibility to your efforts. Our audits check that you’ve accurately measured everything you need to in order to be compliant with CEMARS and the relevant ISO standards.